From Naples (SOUTH) From the A1 take the Grande Raccordo Anulare exit “Appia” n. 23. Once in San Giovanni, follow the signs for Termini Station. From Florence (NORTH) From the A1 take the Grande Raccordo Anulare exit “Salaria” n. 8. Follow the signs to the city center / Via Veneto / Termini Station. From L’Aquila / Bari / Ancona (EAST) A24 / A25 take the Tangenziale east, follow the signs to San Giovanni and continue to Termini Station. From Fiumicino Airport: Leonardo Express train to Termini Station (from here see “by train”). 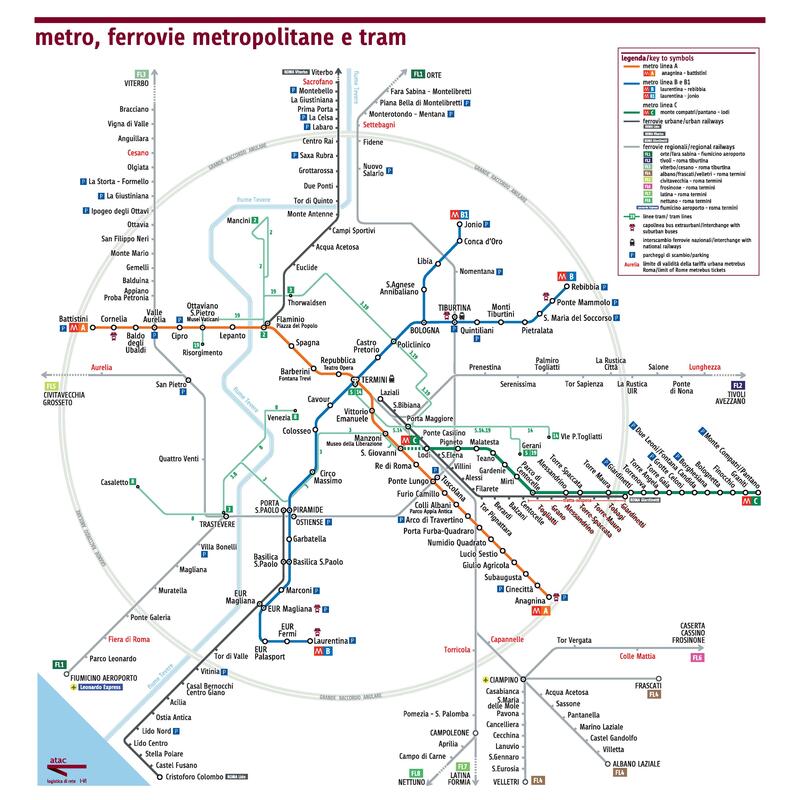 From Ciampino Airport: shuttle bus service to Termini Station (from here see “by train”). Walking from Termini Station : From Termini Station, exit towards Via Giolitti, the second cross you will find yourself on Via Principe Amedeo, where, at number 85 / A, you will find Piumith Guest House. From Tiburtina Station: Take the Metro B direction Laurentina. Get off at Termini and then a 5 minute walk (see above). From Termini Station, Bus 70 towards Clodio. H bus towards Via Dei Capasso. Get off at Sonnino / Gallicano and then proceed by foot to Piazza San Cosimato.From Tiburtina Station, take the Metro B direction Laurentina. Get off at Termini and then follow the directions “From Termini Station”. From Naples (SOUTH): From the A1 take the Grande Raccordo Anulare exit “Appia” n. 23. Take via Appia Pignatelli and Via Appia Antica towards Via Cristoforo Colombo. Via delle sette chiese is a crossing of the Via Cristoforo Colombo. From Firenze (NORTH) From the A1 take the GRA and take the exit “Roma Centro / Salario.Parioli” n. 8. From Salaria, turn at the junction for the Tangenziale Est “Circonvallazione Salaria”. Do Viale Castrense, Via Magna Grecia, Via Gallia and proceed towards Via Cristoforo Colombo. From L’Aquila / Bari / Ancona (EAST) A24 / A25 take the Tangenziale Est follow the signs to Viale Scalo San Lorenzo, via Statilia, Via dell’Amba Radam, Via Druso, Viale Terme di Caracalla in the direction of Via Cristoforo Colombo. From Fiumicino Airport: Leonardo Express train to Termini Station. Take the metro B direction Laurentina. Get off at Garbatella and then a 10 minute walk. From Ciampino airport: Shuttle bus service to Termini Station. Take the metro direction Laurentina. Get off at Garbatella and then a 10 minute walk. From Termini Station, take the the bus 70 direction Clodio square. Get off at and then a 10 minute walk. From Tiburtina Station, take the Metro B direction Laurentina. Get off at Garbatella and then a 10 minute walk. Want to reach us using urban transport services? Purchase the Roma Pass ticket from us Roma Pass… it allows discounts for Museums and Transportation ! !